February 6, 2019 (KHARTOUM) - Sudan’s Ministry of Industry and Commerce on Wednesday has announced the official implementation of the decision to lift the ban on Egyptian products. 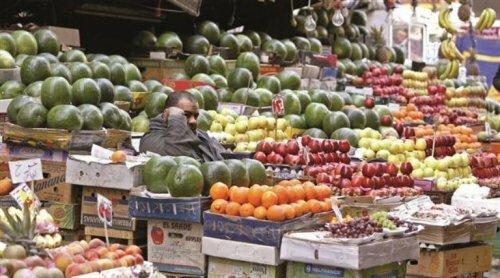 In September 2016, the Sudanese government suspended all imports of vegetables, fruit and fish from Egypt following U.S. reports about cases of strawberries from Egypt causing chronic hepatitis and other diseases. Also, the Sudanese authorities in March 2017 expanded the list of banned Egyptian farming products by adding agricultural goods and products, canned fish and manufactured goods, following reports that these products were rotten. However, following a visit of Egyptian President Abdel Fattah al-Sisi to Khartoum last October, President Omer al-Bashir decided to allow the importation of several Egyptian goods, putting an end to the ban. The semi-official Sudan Media Center (SMC) on Wednesday quoted the Under-Secretary of the Ministry of Industry and Commerce Abdel-Rahman Agab Ahmed as saying the decision to lift the ban on Egyptian products has been implemented officially. He pointed out that importation and exportation of products between the two countries would be carried out by the licensed companies only. Ahmed added that any product that doesn’t match the specifications, health requirements, and laws will not be allowed to enter the country. Last month, the Egyptian government announced its full support to the embattled Sudanese President who is facing unprecedented popular protests since mid-December demanding him to step down.